Good grief. 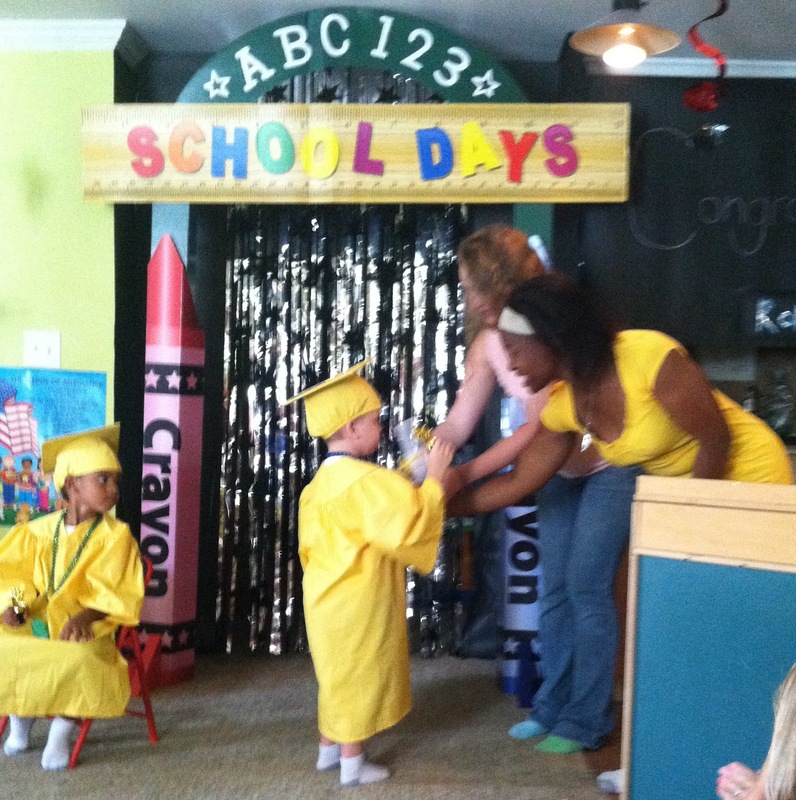 Q graduated from preschool yesterday. Did I cry? Yes, yes I did. Q has been going to Mrs. Spry since he was 6 weeks old. She's the only person that has ever kept him and I'm not gonna lie, I'm super nervous about him going to big kid pre-k in August. I mean, I have never worried about him with Mrs. Spry. I knew that he was being loved on everyday. I knew that she adored him. I knew that she treated him like her own. 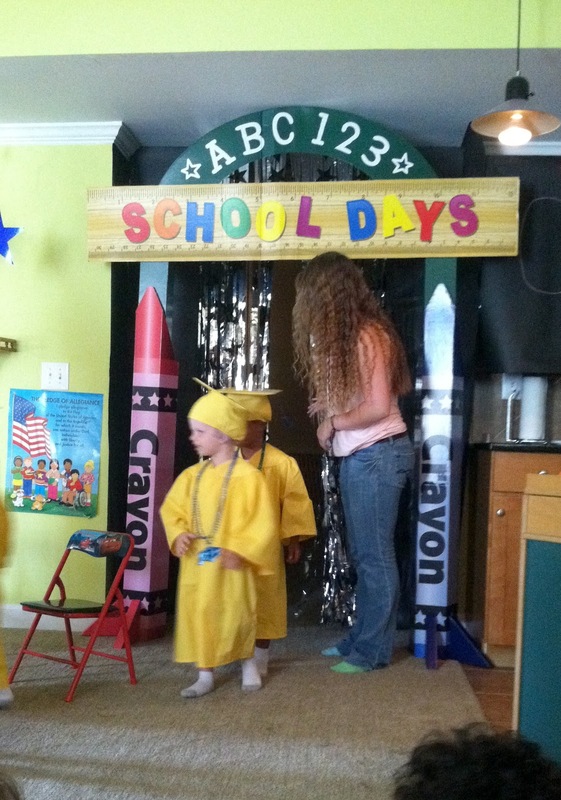 I worry that pre-k is going to have that same feel. There were only three graduating kids this year, and Q and Robert have been together the whole time. 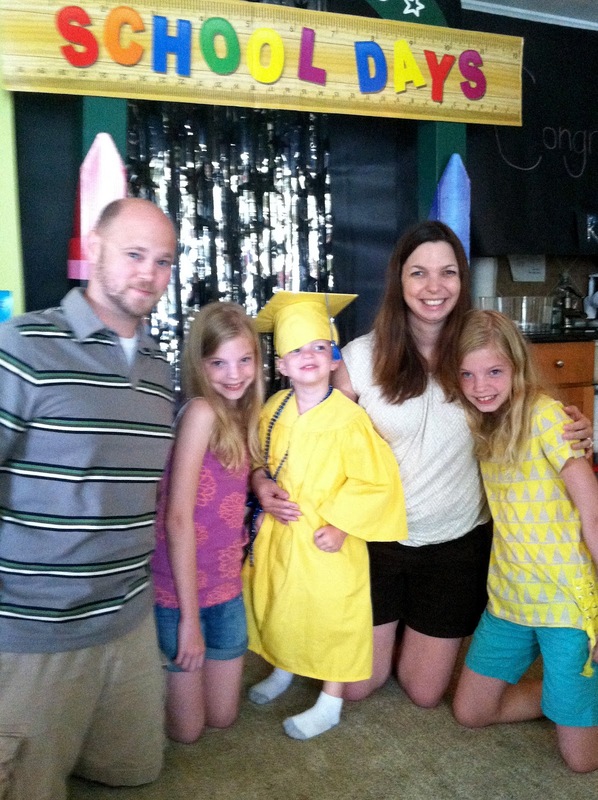 They all felt so fancy in their cap and gowns. There was a slide show before the ceremony and that is when my crying began. Quinn and Loralai. I'm not sure what they are going to do without seeing each other everyday next year. The exciting part about pre-k is that all three of our kids will be in the same place next year! Yay! Because the girls are six years older, this is the only time that this will ever happen. Crap, now I'm going to cry.